We have a packed calendar full of events and activities on the reserve, from bat detecting events to wild art days to wildlife friendly gardening events. 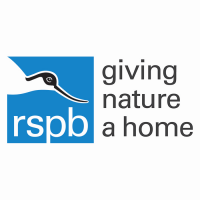 All of which are designed to get people closer to nature and interested in the work of the RSPB. We need event volunteers to help deliver the activities, but also with setting up and packing away afterwards. You will be helping our visitor experience team by helping us deliver events on the nature reserve. You might be welcoming visitors, pond dipping or taking payment. The event activities vary every time and you will help us make them a success. We just need you to come with bags of enthusiasm and an interest in wildlife and the outdoors; we can supply and training you might need. Experience of working with children would be helpful as our events are often family focused.